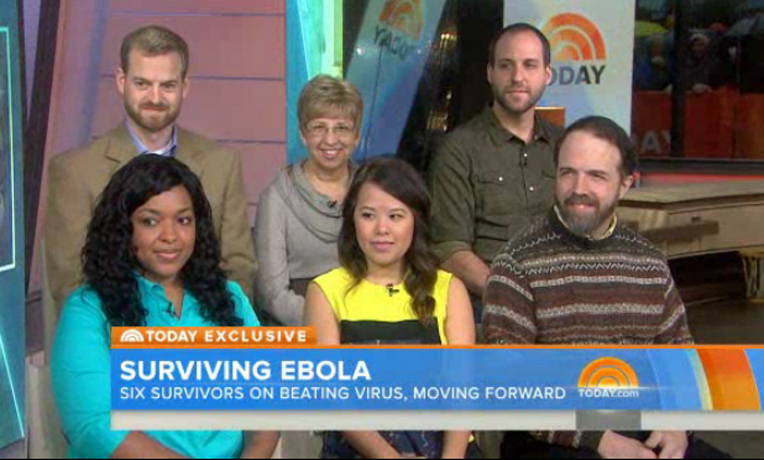 Dr. Kent Brantly and five other Ebola survivors appeared on The Today Show this morning to talk about their lives since recovering from the virus. One of the survivors, Nancy Writebol, was in Liberia with Brantly and contracted the virus shortly after he did. The other four survivors, Rick Sacra, Ashoka Mukpo, Amber Vinson, and Nina Pham, all received plasma from Brantly. The survivors enjoyed meeting other people who had been through the same struggles. Several of them thanked Brantly for donating his plasma to them while they were sick. Brantly was treating victims of the disease at the Samaritan’s Purse case management center at ELWA Hospital near Monrovia when he contracted Ebola in late July. He received a dose of an experimental serum while in critical condition in Liberia and was then transported to Emory Hospital in Atlanta. Nearly 5,500 people have died from Ebola since the outbreak began in March. Samaritan’s Purse is deploying small teams of courageous staff to train locals and provide them with the materials they need to stop the spread of the deadly disease in their villages. Although the virus is slowing in Liberia’s capital, smaller outbreaks are increasing in rural areas. The need is still great.